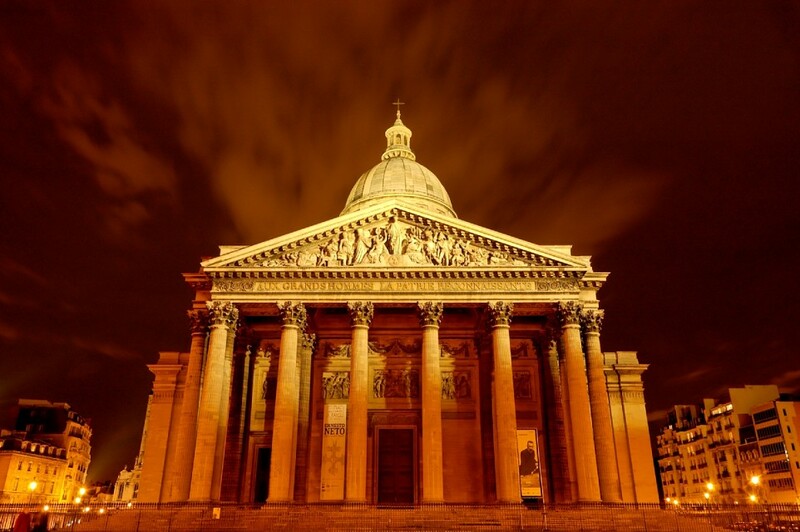 The Panthéon is a Neo-Classical building in the Latin Quarter of Paris. 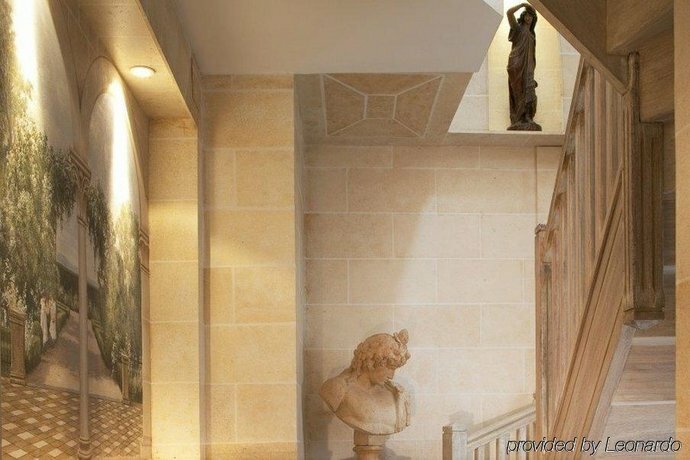 Originally built as a church dedicated to Sainte Genevieve, the patron saint of Paris, it now is a secular mausoleum of famous citizens and heroes of France. 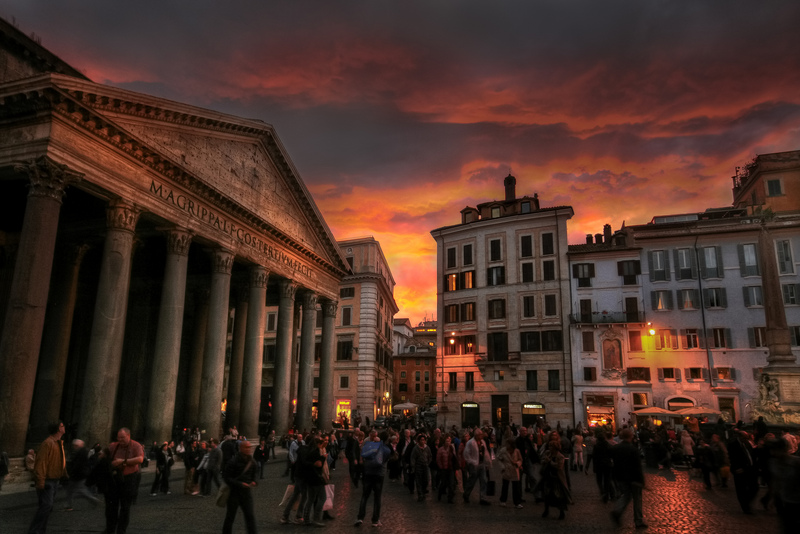 This imposing, 18th-century building is a great example of early Neo-Classicism and was modeled after the Pantheon Rome. The Panthéon is located on top of the Montagne Ste Genevieve in the fifth arrondissement and looks out over much of Paris. Several prominent Frenchmen are buried inside, world-famous men such as Rousseau, Voltaire, Braille, and Hugo, and one woman, Marie Curie. King Louis XV was suffering from a life-threatening illness in 1744 and declared that, if he survived, he would replace the existing ruined abbey of Sainte Genevieve with a building that was worthy of the Parisian patron saint. He eventually did recover and assigned the project to the Marquis de Marigny. 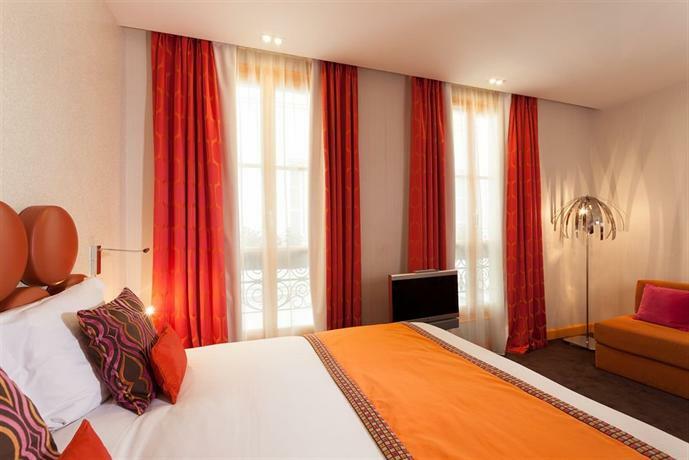 The Marquis then hired Jacques-Germain Soufflot to design the building in 1755. Construction began in 1757, but wouldn't be complete until 34 years later, mainly due to financial troubles. 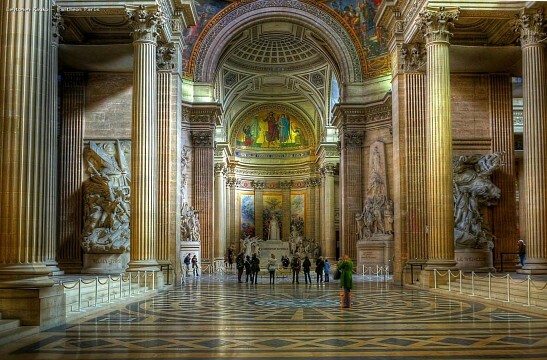 The Panthéon was finished in 1791, in the middle of the French Revolution. That year, the Constituent Assembly of the Revolution decreed that the building was to be transformed into a temple where the remains of the great men of France would be buried. 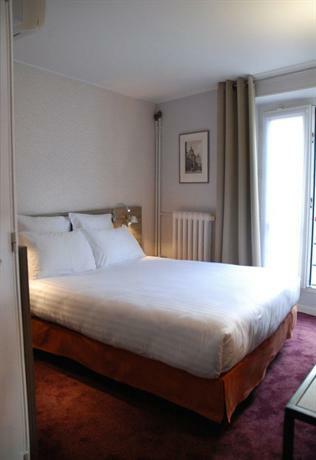 The building was then adapted to its new function by the architect, Quatremère de Quincy. The Panthéon turned into a church again in 1806, but has served as a civic building since 1885. 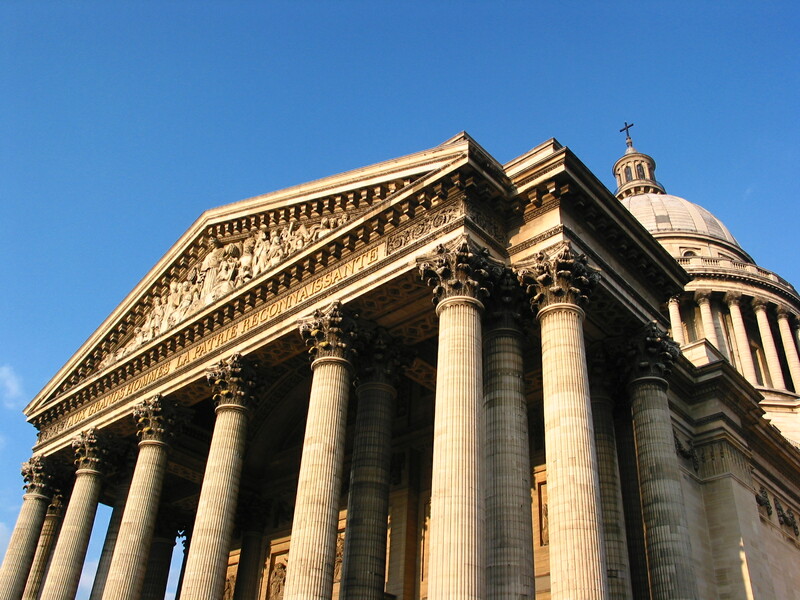 In 1851, the Panthéon was the setting of one of science’s greatest demonstrations. Physicist Léon Foucault showed that the Earth was round by conducting an experiment underneath the central. For his experiment he used a 67-meter pendulum, now famously now as the Foucault Pendulum. A copy of that pendulum is displayed inside the Panthéon. 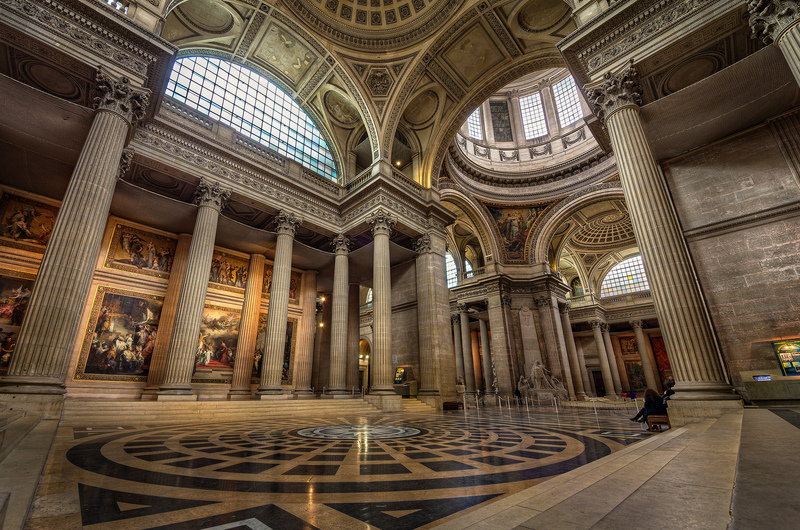 The floorplan of the Panthéon is a Greek cross layout. It is 361-feet-long and 279-feet-wide. The enormous building has a massive portico with Corinthian column, which was modeled after the Pantheon Rome that dates back to the second century. An ingenious architectural feat is concealed in the 279-feet-high dome, which actually consists of three superimposed shells. 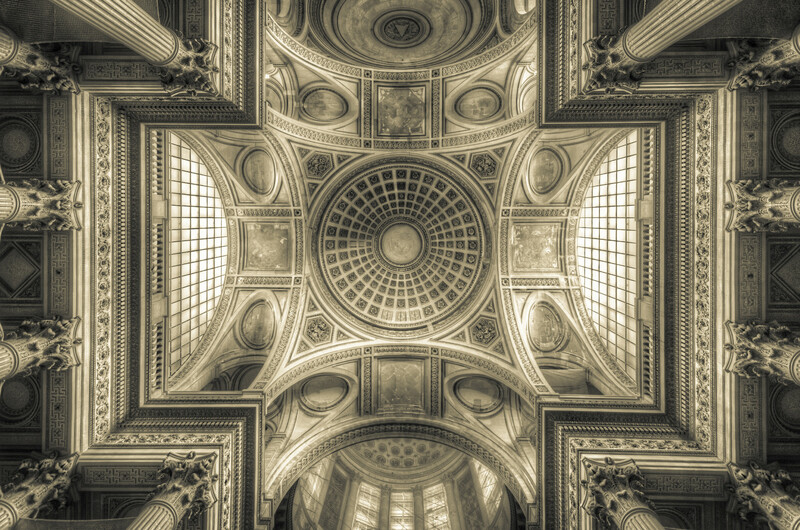 It’s a triple dome; each shell is fitted within the other two, similar to St. Paul's Cathedral in London. Hidden, flying buttresses disperse the huge weight of the three domes to the columns in the portico. The crypt underneath the building covers the entire surface and is where a large number of great Frenchmen have their last resting place. 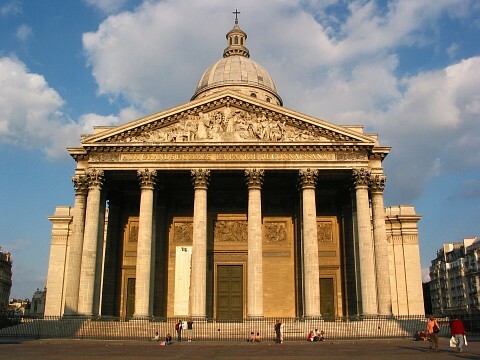 The first thing to admire about the Panthéon is the imposing exterior, the Corinthian columns, and the massive portico. 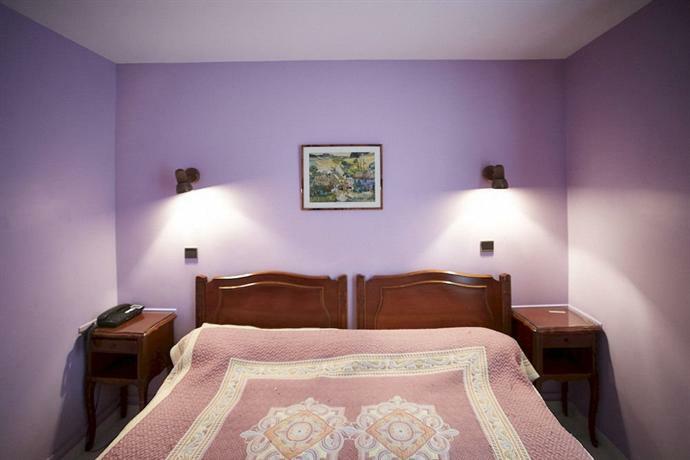 Once inside, the grandeur of the building becomes even more obvious. The interior, and particularly the dome above, is impressive. The dome can be visited by guided tour only, from April to October. The views from the colonnade around the dome are spectacular. A real highlight in the building is the Foucault’s Pendulum. Additionally, visitors can learn about the life of Sainte Genevieve and the history of Christianity and the monarchy in France through a series of paintings. 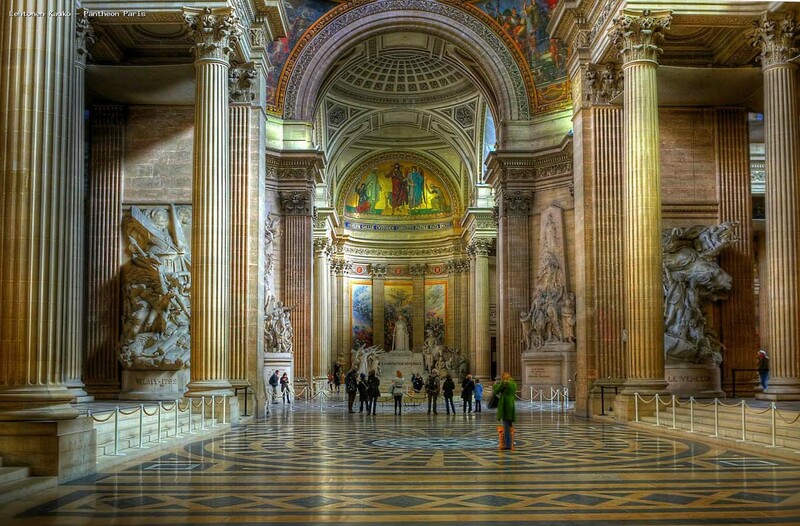 The one major attraction in the Panthéon, however, is the Crypt. The Crypt’s permanent exhibition gives visitors details on the lives and works of those who are buried there. An inscription above the entrance reads ‘Aux Grands Hommes La Patrie Reconnaisante’ – in English: ‘To Great Men, The Grateful Nation’. 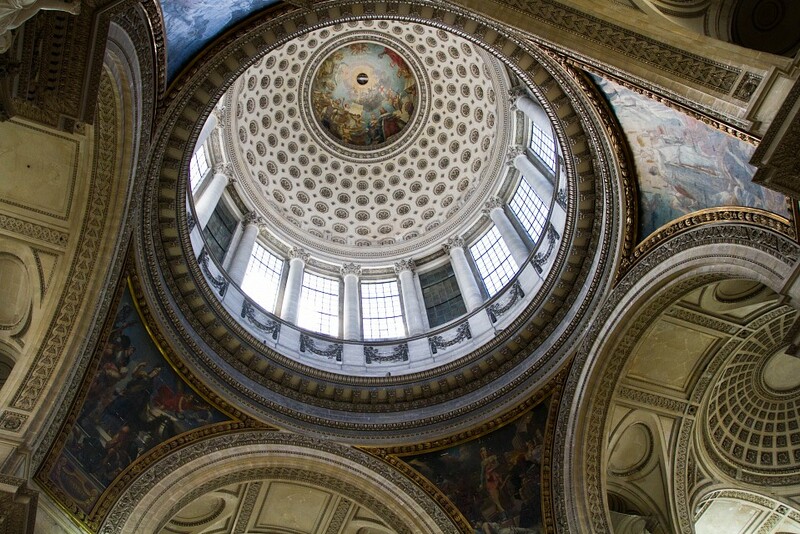 By burying someone in the Panthéon, the nation of France recognizes the importance of their works. Burial there is greatly restricted and only allowed by act of parliament. A similar policy of high honors exists at Les Invalides, which is where great military leaders, such as Napoléon and Vauban, are buried. The list of people who are buried there is impressive: Louis Braille, Jean Jaurès; its architect Jacques-Germain Soufflot, Emile Zola; René Descartes, Alexandre Dumas; Jean-Jacques Rousseau, Voltaire; Victor Hugo, and Pierre and Marie Curie. The Panthéon is located near the Jardin du Luxembourg and is easily reached with public transport. The nearest subway stations are Cardinal Lemoine and Maubert Mutualité on the M10 line. With the RER, the building can be reached on the B line. Several buses stop nearby as well: lines 21, 27; 38, 82; 84, 85; and 89. 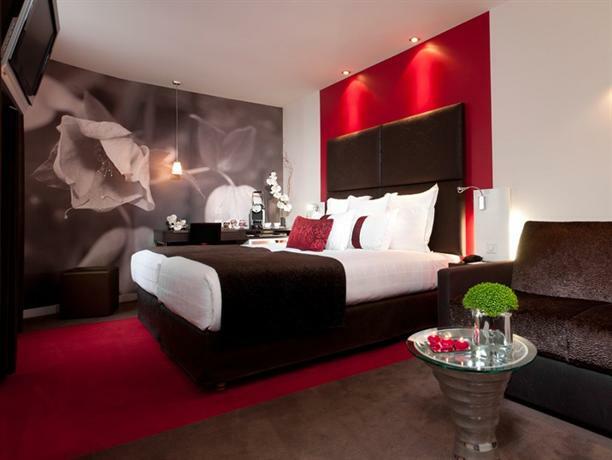 The city of Paris is filled with historic landmarks, most of them located in the city center and easily accessed by subway. Other major landmarks include the Notre-Dame de Paris, The Louvre; the Champs-Elysées, the Arc de Triomphe; the obvious Eiffel Tower, Musée d’Orsay; the Grand Palais in the Tuileries Garden, Centre George Pompidou; Place de la Concorde, and Pont Neuf among many others.